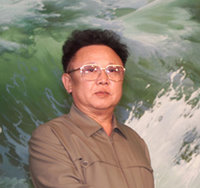 Kim Jong Il is dead, and the world is wondering what to do about it. The task of leading North Korea has fallen to an inexperienced 27-year-old without a major constituency, even as the threat of regime collapse worries both friends and enemies of the largely isolated nation. What should Washington, Beijing, Seoul and Tokyo do in order to avoid a crisis? Some observers are arguing that this represents an opportunity for the United States to push hard against the DPRK, hopefully causing it to topple. This would be a mistake; the DPRK is likely not only to survive such pressure, but to respond by lashing out in dangerous and unpredictable ways. A much better approach would be to reach out to North Korean factions potentially interested in reintegrating the DPRK into the international community, in the hopes of tipping the balance of power within the regime.